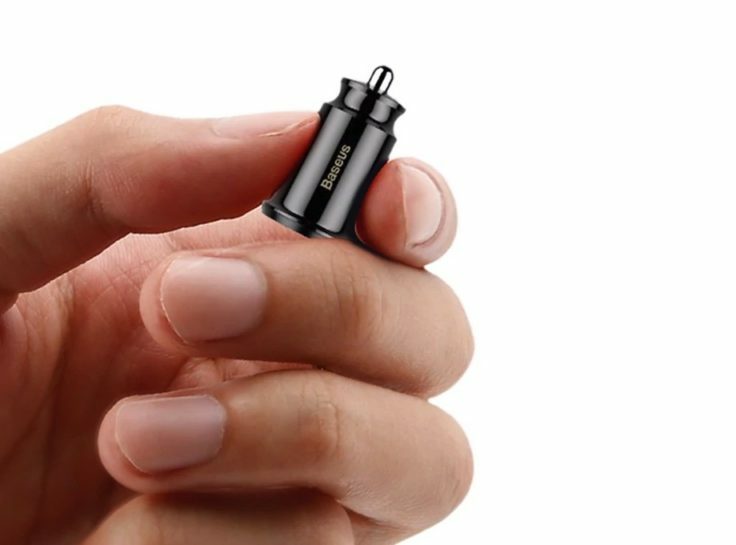 The Baseus mini car charger, like most USB car chargers, is also cylindrical. 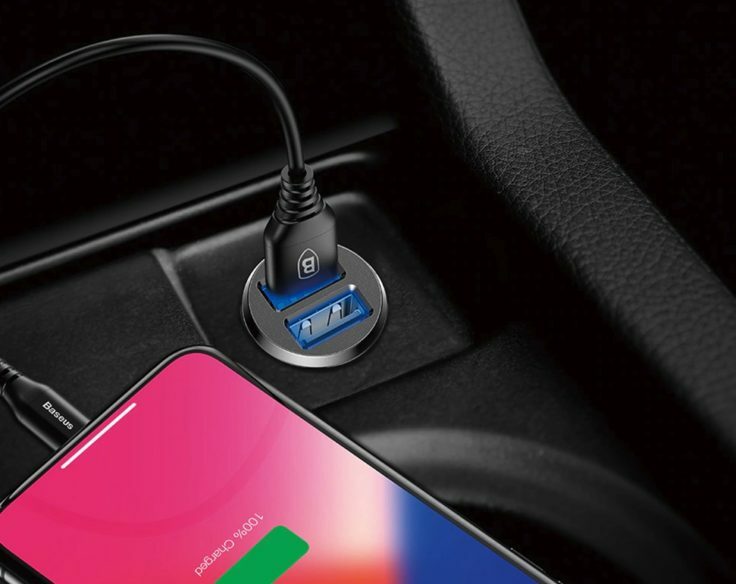 On the upper side there are the 2 USB-A ports, on the lower side there is the connector for the cigarette lighter in the car. The car charger can be ordered in black or white. The black version also uses the popular carbon look on the upper side. But the size of the Baseus mini car charger is interesting. With 4.5 cm it is much smaller than for example the RAVPower car charger. The top of the charger protrudes only 9 mm above the edge of the cigarette lighter. This makes it nestle better into the look of the interior and looks almost as if it is firmly integrated. But you have to be able to live with a slightly lower performance. The charger can charge a maximum of 3.1A and 5V, but this is also split between two ports. If you only charge one smartphone, then the small gadget charges 2.1A with a power of 5V and thus comes up to a good 10W. So this is not a current Quick Charge standard. But if you don’t hang a 10,000 mAh smartphone on it now, the speed should be ok.
Who attaches much importance to the optics and a reasonable price, can reach with the Baseus Mini-KFZ charger certainly. With the mentioned RAVPower car charger you get much more power, but is also more expensive.